failure to act decisively at the start has led to this! 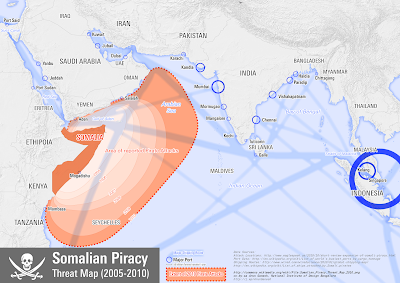 The scourge has spread across the Indian Ocean. (a variation on the Eisenhower quote in the banner). When will the navies of the world get their act together? The map is pretty… inaccurate. But still... credit where credit is due: pretty map. I wonder why there isn't a frigate or two off each pirate port? What's preventing that; lack of ROE? THAT would be a good ol' fashion blockade. Keep the skiffs in the the hijacked ships out. 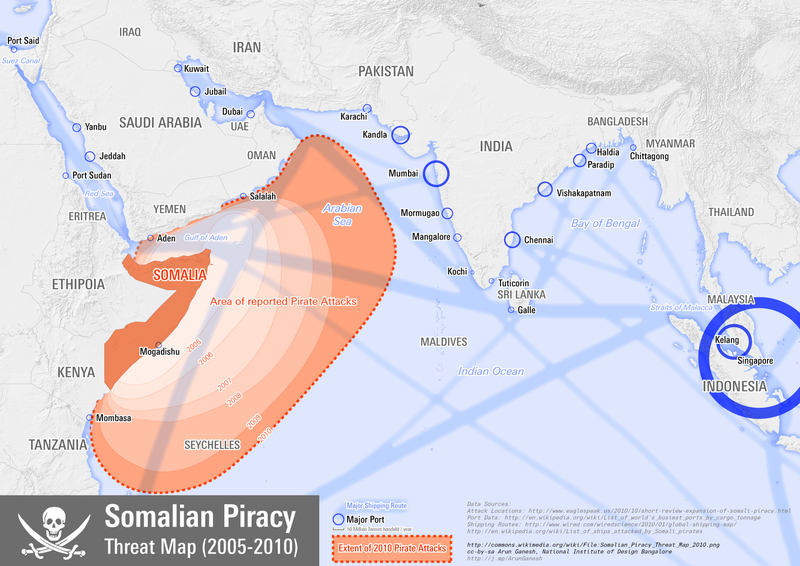 Then the anti-piracy fleet would have to check all them "fishermen". Nope. Too much work. Better to patrol the Indian Ocean and put some miles under the keel, instead.